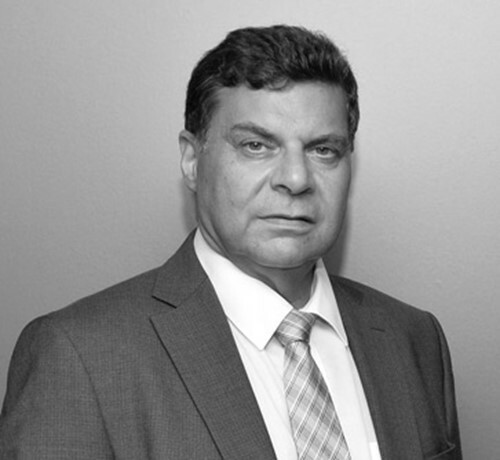 Vagelis Fakos is the Managing Partner and Chairman of the Executive Committee of AS network and Chairman and CEO of Accounting Solutions SA. He is specialized in financial and tax advising and has significant experience in human resources management as well as in logistics, customer service and outsourcing. 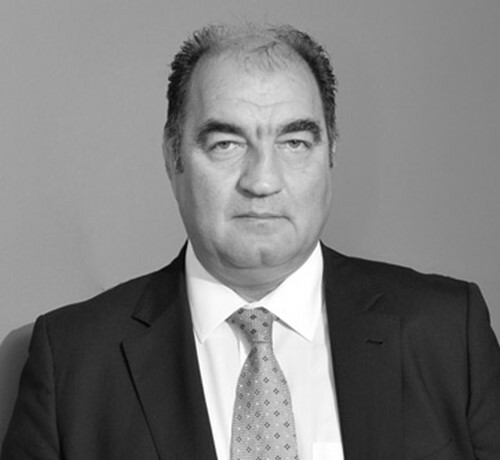 He started his career in 1984 as a member of the Tax and Audit Department at Coopers & Lybrand (now PwC). In 1988, he joined Trofeklekt SA in the Greek subsidiary of Mars Group Inc., where he spent 13 years in several financial and administrative positions in Greece and abroad. In 2001 he moved to Accounting Solutions SA and took over the management of the newly-founded company as General Manager. He is a graduate of the Athens University of Economics and Business with postgraduate degrees from the tax department of ELKEPA and is a Member of the Economic Chamber of Greece and of the Hellenic Institute of Financial Management (EIOD) of the Hellenic Management Association (EEDE). Marios Georgiou is a Senior Partner and a Member of the Executive Committee of AS network and Chief Executive Officer of Audit Services SΑ. He is a Certified Public Accountant and specializes in tax and accounting matters and in statutory and special audits of large companies. He has dealt with legal entities taxation, consulting on tax treaties, tax planning of groups, mergers/spin-offs of large multinational companies, the organization of financial services, the compilation of administrative organization charts, the management of substantial accounting projects etc. He worked for PwC for almost 28 years, the 15 of which as a partner. He started his collaboration with Coopers & Lybrand (now PwC) in 1983, already having accumulated considerable experience as an accountant. He initially worked as an auditor, participating in audits of many Greek and multinational companies. At the same time, he became an active contributor to the organization and growth of the tax department growth. He also organized and managed PwC Academy, the company’s educational center, offering professional training to financial executives, lawyers etc. in a variety of programs and modules such as tax, accounting, ACCA, ACA etc. He is a member of the Economic Chamber of Greece, the Hellenic-American Chamber of Commerce, the Hellenic Management Association and the Institute of Certified Public Accountants of Greece. He is a graduate of the School of Industrial Studies (currently University of Piraeus). 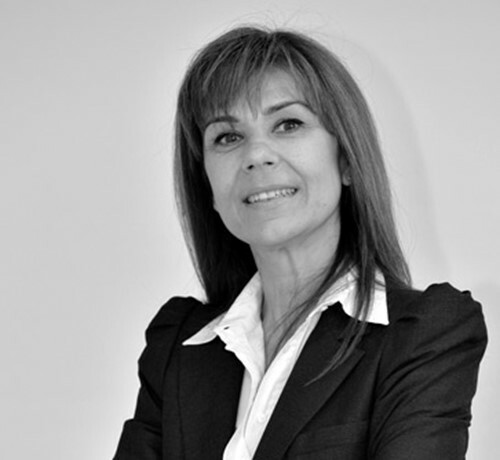 Irene Maniatopoulou is a Partner of AS network and Payroll Director. Her experience covers a wide range of consulting services in payroll, labor and social security issues and has attended and/or participated in several seminars on labor and social security matters. She started her professional career at Coopers & Lybrand (now PwC) in 1980 where she first worked in the Financial Department and later undertook the management of the entire Payroll Services Department. She is a graduate of Panteion University (Public Administration Faculty). 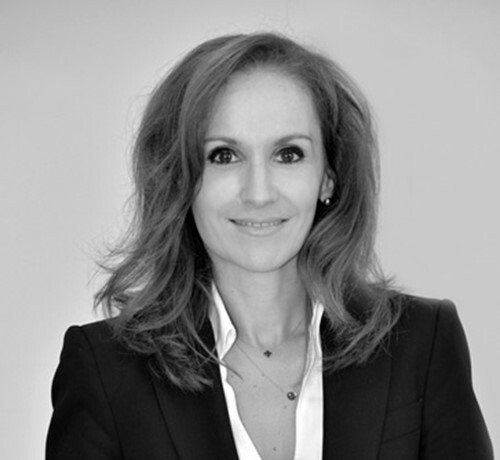 Jenny Panou is a Partner of AS network and Head of Tax Advisory Services. She is an Attorney at the Supreme Court specializing in the provision of tax advisory services to international and Greek companies, and she is mainly engaged in corporate taxation, diagnostic tax reviews/tax due diligence, transfer pricing, tax review of agreements, double tax treaties, mergers and acquisitions, tax incentives, international tax planning, transfer of shares/businesses/branches, stamp duty, taxation of individuals/expatriates etc. She has a professional experience of more than 15 years, having also worked at PwC. She is a member of the Athens Bar Association and holds a graduate diploma from the Law School of Athens. Stavros Petridisoglou is a Partner of AS network and Tax Compliance Director. He is a Certified Public Accountant and specializes in accounting standards and tax audits, participating in the statutory audits where he contributes in the fields of taxation. He has significant experience in the provision of financial, accounting and tax services, in the organization/supervision of accounting departments, in business restructuring and in corporate transformations (spin-offs, mergers, conversions etc.). He has worked in Alpha Bank and for more than 16 years in PwC, the last 5 of which as Director/Principal of the Tax Department. He is a seminar leader in VAT training sessions approved by the Manpower Employment Organization of Greece (OAED) and a holder of the First-Class Accountant Tax Consultant license. He is a graduate of the Athens University of Economics and Business with postgraduate diplomas from the tax departments of ELKEPA and of the Institute of Certified Public Accountants of Greece. Nikos Zamanis is a Partner of AS network and Finance and Accounting Director. He specializes in the supervision and organization of accounting departments, the reengineering of financial departments and in IFRS, as well as in spin-offs, conversions, absorptions and mergers of companies. He has a professional experience of over 19 years in the provision of professional services to Greek and multinational companies, mainly on the development and implementation of cost procedures in industrial and trade companies, the adjustment of financial statements based on International Financial Reporting Standards (IFRS), the preparation of monthly financial reports for the management of clients, the preparation of budgets and forecasts, the completion of VAT statements, withholding tax on salaries and income tax returns etc. He is a member of the Economic Chamber of Greece, a holder of the LCCI Certificate on International Financial Reports Standards (IFRS) and a holder of the First-Class Accountant Tax Consultant license. He is a graduate of Panteion University. Anastasios Mavridis is a Partner of AS network and Finance and Accounting Director. He is specialized in MIS (Management Information Systems), in supervising and organizing accounting departments, reengineering financial departments, US GAAPs and corporate dissolutions. He has extensive experience in adjusting financial statements based on IFRS, preparing monthly financial reports for the management of clients, preparing budgets and forecasts, making economic data agreements, completing VAT statements, withholding tax on salaries and income tax returns as well as in the management audits of large and medium-sized companies. He has worked at KPMG and PWC and has a professional experience of over 17 years in providing accounting, tax and advisory services as well as audit services to Greek and multinational industrial and commercial companies. He is a member of the Economic Chamber of Greece and a graduate of the Business Administration Department of the Technological Educational Institute of Athens. Sotiris Sokos is an Audit Partner of AS network. He is a Certified Public Accountant responsible for statutory and special audits and assurance engagements and has extensive experience in the auditing of public companies and groups listed on the Athens Stock Exchange and on other foreign stock exchanges (New York, London) as well as the auditing of private companies operating in the Greek market. He has also significant experience in internal audits and internal organization consulting as well as in the implementation of International Financial Reporting Standards (IFRS). He has lead audit engagements of Greek subsidiaries of foreign multinational corporations as well as of Greek groups operating locally or internationally, whether at their headquarters in Greece or their subsidiaries abroad, mainly in England, Luxembourg, the Balkans, Eastern Europe, Egypt and elsewhere. Several of these engagements were due to perspective acquisitions (due diligence) mandated by clients such as Coca-Cola HBC, Heineken BV, Frigoglass, Vivartia and Piraeus Bank. 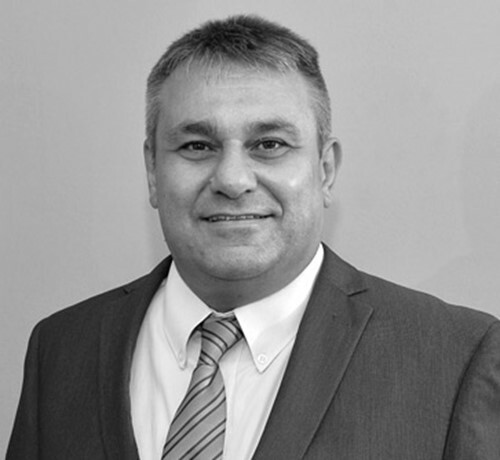 He has over 22 years of consequent auditing experience, having served as a Partner at International Certified & Registered Auditors SA – former BDO (2004 -2012), as Senior Manager at PwC (1997-2004) and previously at lower grades in Deloitte and KPMG. He has participated in many seminars and events on IFRS, AuditIng, Transfer Pricing, Tax Legislation etc. and is a member of the Institute of Certified Public Accountants of Greece and the Economic Chamber of Greece. He is a graduate of Economics at the University of Piraeus and holds a Master’s degree in Business Economics at the University of Essex. 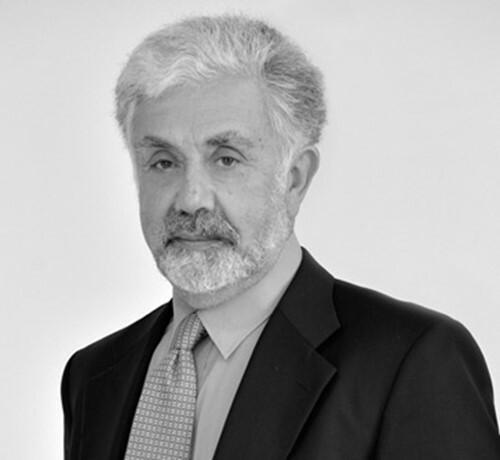 Giorgos Samothrakis is a Chairman Emeritus of Audit Services SΑ. He is a Certified Public Accountant specializing in corporate and individual tax matters including tax planning ideas for Greek and multinational companies and he has been extensively involved in statutory and special audits of trading and manufacturing entities. He started his career in 1965 at the National Bank of Greece and in 1972 he moved to Coopers & Lybrand (now PwC), forming the Tax & Legal Services department in which he remained in charge until 2006. Ηe also served as Chairman of the Board of Directors of PwC for several years. He is a Member of the Council of the Institute of Certified Public Accountants of Greece, where he is actively involved in transforming the auditing profession in Greece. He has served as President of the Fédération des Experts Comptables Méditerranéens, President of the Hellenic Institute of Financial Management (EIOD) of the Hellenic Management Association, Member of Committees of the Ministry of Economy and Finance for the transition to IFRS in Greece, the simplification of the Greek Code of Accounting Books and Records and the implementation of the new 8th Directive and Member of the Economic Chamber of Greece. He is a graduate of the Athens University of Economics and Business. 4 Zalogou Str. & Mesogeion Ave.